…On ABUC (Cuba spelled backwards), which came out on Nov. 17, Fonseca, a crack band and guests that include members of Cuba’s Orquesta Aragon and New Orlean’s Trombone Shorty, embrace Afro-Cuban jazz, mambo, danzon, son and bolero, accented with the soul and psychedelic rock that infuenced Cuban musicians in the 70s, as well as with rap and spoken word. 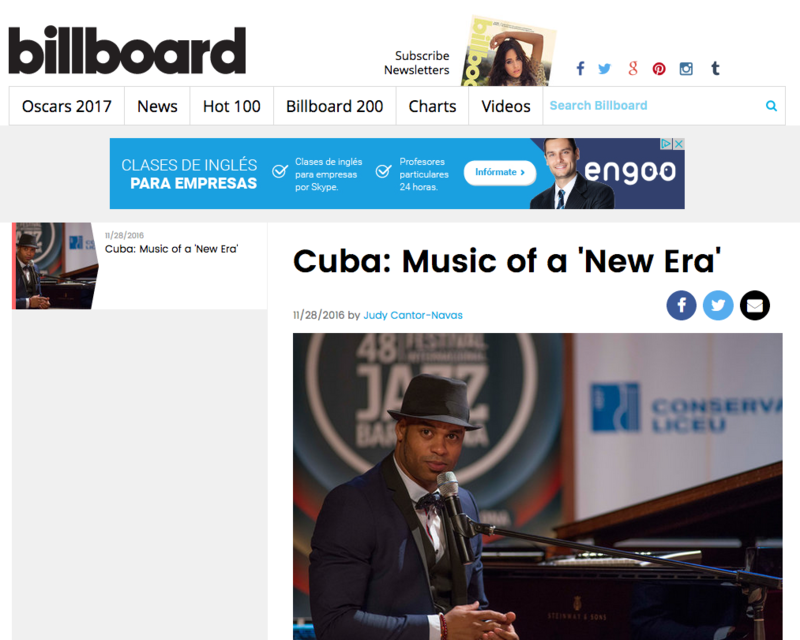 The virtuosic ability to perform a variety of styles has over decades been a calling card for Cuban musicians but frequently also their Achilles heel. In this case, Fonseca, who began his State-sponsored Cuban conservatory training at age eight, doesn’t miss with his inclusive classic-progressive sound. Rather than simply assembling a potpourri of contrasting tracks, he has a delivered a deeply felt, carefully constructed and timelessly hip record, meant to be heard straight through. The opener, a jamming version of soul-jazz pianist Ray Bryant’s “Cuban Chant,” sets the tone for what’s to come.